We hope you can find everything you need. Rays Pool Service is focused on providing high-quality service and customer satisfaction - We will do everything we can to meet your expectations. With a variety of offerings to choose from, We're sure you'll be happy working with us. Look around our website and if you have any comments or questions, please feel free to contact us. 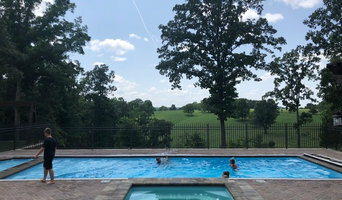 We provide exceptional swimming pool Service, Repair, and maintenance for residential and commercial pools throughout the Nixa, Springfield, Ozark, Republic, and Surrounding Areas. Whether you are looking for dedicated, friendly maintenance or just a one time clean-up, Rays Pool Service is the one you will want to work with. Swimming pools are the ultimate source for relaxation and clean fun. Nothing is more upsetting than having a pool you can't use because it is unclean and unkempt. At Rays Pool Service we want you to be able to enjoy your pool whenever you choose. Rhodes Custom Pools, Inc. is a swimming pool, spa, and water feature, construction, remodel, and repair contractor with 27 years of industry experience. Our projects include residential, commercial, and municipal clients. Rhodes Custom Pools, Inc. started as a swimming pool and spa service and repair company, serving residential and commercial customers for more than 10 years. During that time our reputation and quality of service continued to grow, as well as our desire to offer more quality services to our large customer base. In 2000, Rhodes Custom Pools, Inc. attained their C-53 Swimming Pool Contractors License after working with several local builders and coming to the conclusion that something was missing in swimming pool construction, such as quality, honesty, reliability, and great customer service. Since that day, Scott Rhodes, President of Rhodes Custom Pools, Inc. has given his customers what the swimming pool industry was in need of. A swimming pool contractor that offers quality work, honest pricing, reliable results, and the customer service that everyone deserves. Cabins and RV sites in Park near and within Branson, Missouri. Experience great campgrounds with 1st rate activities and amenities. Sierra Pool & Spa Repair specializes in hot tub, spa and swimming pool repairs and equipment replacement, upgrades & installations in the Springfield and Branson Missouri area. We proudly serve the Ozarks of Missouri and Arkansas. We specialize in repair, replacement and installations of heaters, pumps, filters, motors, lights, controls, automation and salt water & energy saving systems. We also provide service for openings & closings, clean-ups and evaluations. Our trucks are fully stocked with common parts to complete most repairs on the first service call. Since 1985 we have been family owned and operated. We are an honest, knowledgeable and professional company with integrity. We take alot of pride in our work and the job is done right the first time by providing quality service and customer service has always been our number one priority. At Sierra Pool & Spa Repair, we separate ourselves from the rest of our industry by focusing in the area of repairs and service type work. Because of our experience and focus in this area, we can provide a better experience for you the consumer, with our knowledge of the industry. We are a Pacific Pool dealer specializing in custom in-ground pool construction, plus a platinum BIOGUARD chemical dealer, and we provide the full line of both BULLFROG and MARQUIS spas. 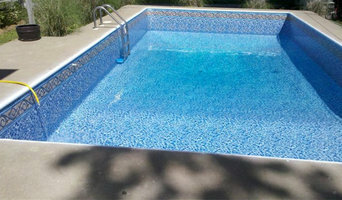 Clark & Sons Pools Inc.
What exactly do Springfield pool builders do? If you are planning for a new pool in Springfield, MO, a swimming pool builder will analyze your outdoor space and your aesthetic wishes to determine an appropriate design for your yard, installing it once the plan is developed and approved. Once installed, some pool companies in Springfield, MO can handle the necessary cleanings, water testing, renovations and equipment replacement or repairs for your pool or spa. If not, many can also suggest Springfield, MO swimming pool contractors or maintenance services to help with upkeep or repairs down the road. Here are some related professionals and vendors to complement the work of swimming pool builders: Garden & Landscape Supplies, Landscape Architects & Landscape Designers, General Contractors, Landscape Contractors, Solar Energy Contractors. Before hiring a swimming pool construction company to create your new Springfield, MO pool, determine how you'll be using it. Will it be for fun or for lap exercise? Will the primary users be children, adults or a mix of the two? Knowing the use can help you find Springfield pool builders who shares your aesthetic. Once you find swimming pool builders in Springfield, MO who share your style, research is critical. Review customer references and comments, collect at least three to four estimates to compare, meet with potential Springfield pool designers and builders in person and ensure that they are Missouri certified service professionals and licensed with the registrar of contractors before making any final decisions. In addition, get a sense whether they plan to complete the pool installation and be done with it, or whether they seem interested in building a long-term relationship with you. Be wary of the former: it's likely a reflection on the level of quality of the pool construction they do. 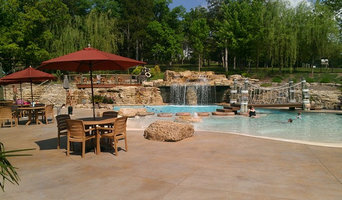 Find a Springfield pool contractor or designer on Houzz. 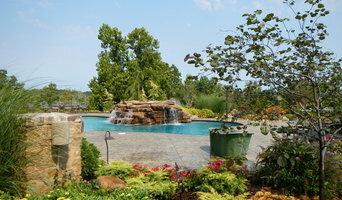 Narrow your search in the Professionals section of the website to pool builders in Springfield, MO. You can also look through Springfield, MO photos by style to find a pool or spa you like, then contact the local pool company who designed it.